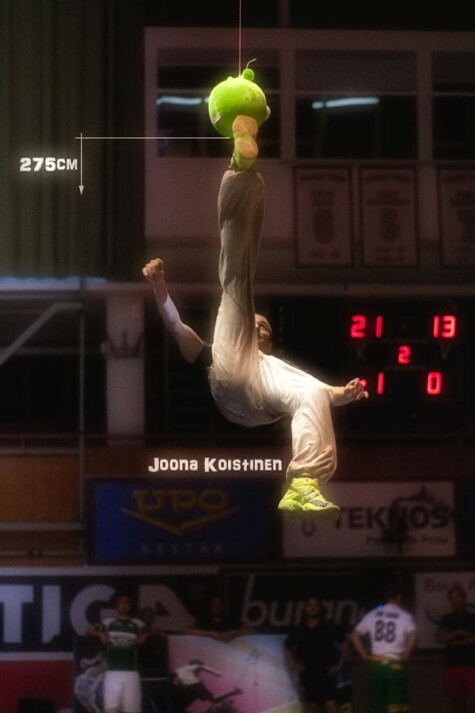 Joona Koistinen, the world's highest spiker, smacking the King Pig at 275 cm (9 ft). The Angry Birds kick contest was a side event of the 2011 Worlds. Photo by Mikko Inkinen. There are 1 Comments to "Results"